← Will I be able to overcome my pig head fear? I am so envious of you and your ambition. I have this book as well and can only dream of making some of the things in it. I will never had made as many as you. So much of a challenge. We are going to try the pork with the lettuce cups soon I think. That seemed to be a pretty simple one to start with. Good luck with the pork ssäm! 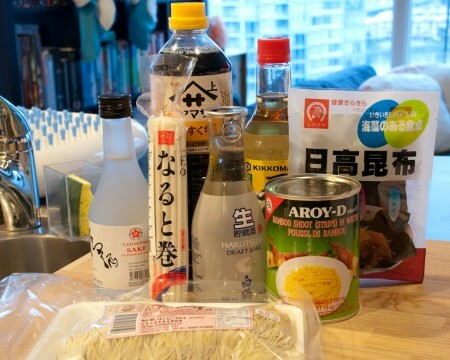 You should learn to make Ippudo ramen. Way better than that mainstream Chang stuff. Thanks for the suggestion! As a noodle lover, I think Ippudo ramen is delicious as well, especially the Akamaru Modern! I just found your blog and love your cooking through the book! 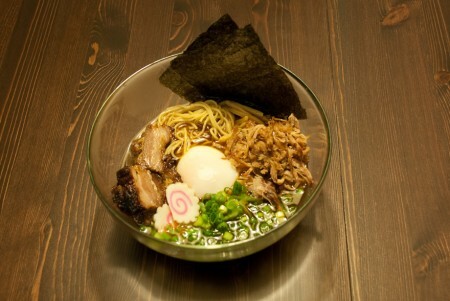 Your photos of your ramen look super yummy! I think it’s really cool that you were able to find all the ingredients in Germany! I have trouble finding ingredients sometimes even though Vancouver has tonnes of Asian stores. I just made the Momofuku Ramen myself, and in the meantime I found your blog. I must say that you have a wonderful thing going on here. I tried to cook through a cookbook, but quickly found that I didn’t have the time to sustain it. It is amazing that you have the tenacity to keep it up! 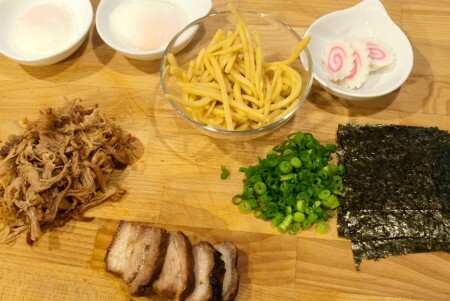 All of the non-momofuku recipes are good chooses as well. I must say, we have very similar tastes in fancy food! Thanks! I’m lucky (and cursed) because I have an obsessive compulsive need to complete things. 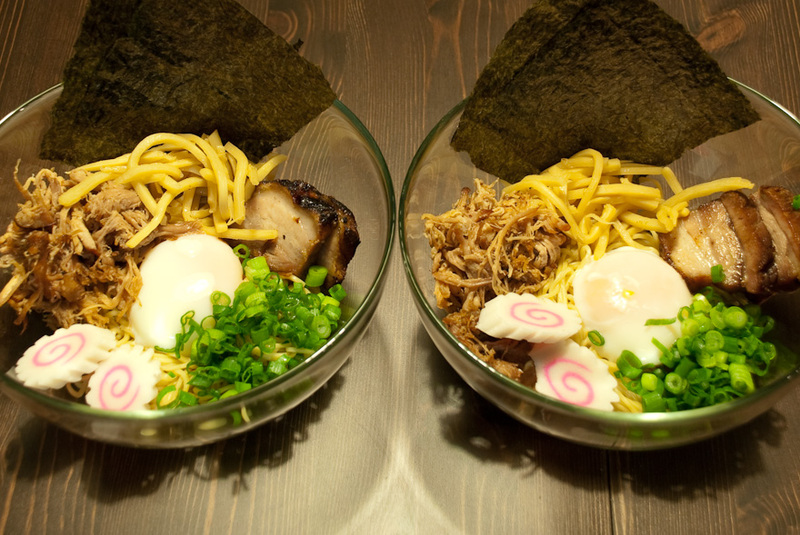 How did your ramen turn out? I’m right in the middle of making a batch of the Ramen broth. I made the shiitake pickles out of the leftover mushrooms, and I’m crisping the bacon that I fished out as well, but I’m puzzled as to what I can do with the whole chicken that is now cooling on my counter. I’m curious as to what you did with it? Love your blog! Chang’s recipes seem to be multi-layered and time consuming. You must be tenacious to undertake this challenge! I’ll keep reading your blog as I try some more Momofuku recipes myself! I used the chicken meat in a chicken pot pie! I found that it wasn’t too heavily flavoured, so it was pretty good in a pot pie. After that time, I switched to using stewing hens instead of regular chickens. okay, I have never really even had instant ramen before, but your site is fascinating. But here is a newbie question: what is the white and pink swirly thing? It’s called naruto, it’s sliced fish cake. Looks so easy no ? Happy dancing indeed. I ate at the new Momofuku in Toronto for the first time 6 weeks ago. And have been back twice since. I need this broth in my life and am inspired to spend a day making it thanks to your site. So often chef cookbooks are just too overwhelming that you don’t even want to get started. Quick question – did you make the fish cake or is that something you can just buy? It seems too pretty to make easily at home.